The insurance and reinsurance industry is set to find itself paying for an estimated $2 billion of losses due to severe thunderstorm, or convective storm, weather and resulting hail damage and floods in March, according to broker Aon. Aon Benfield’s catastrophe model development team Impact Forecasting, estimates that severe convective weather across the U.S. during March caused economic losses to property, infrastructure and agriculture of around $3.5 billion, while insured losses suffered by public and private insurance entities were estimated at around $2.0 billion. Texas was one of the hardest hit states during March, with insured losses from hail events during the month estimated to have caused insurance or reinsurance losses of over $1.1 billion. There were a number of other notable catastrophe and severe weather events during March 2016 which are estimated to have caused insurance industry losses worth reporting. A severe thunderstorm and flood event in the United Arab Emirates and Oman is estimated to have caused a $140m insured loss. European windstorm Jeanne, known locally as Katie, is thought to have caused at least $100m of insured losses. But demonstrating its property catastrophe insurance exposure, the United States drives global losses once again in March, with the seven severe convective weather outbreaks resulting in the $2 billion insurance loss tally. Thunderstorm and heavy rain events impacted central and eastern sections of China, leading The Ministry of Civil Affairs to report aggregated economic losses of CNY3.7 billion (USD570 million). Windstorm Jeanne, known locally as Katie caused hurricane-force winds and flooding in northern Europe, killing at least one person. Total economic and insured losses are expected to exceed USD100 million. Intensifying drought conditions in India caused major crop damage. The National Disaster Relief Fund (NDRF) recently allocated INR40 billion (USD600 million) for seven hard-hit states: Tamil Nadu, Rajasthan, Jharkhand, Assam, Andhra Pradesh, Himachal Pradesh, and Nagaland. A Canada winter storm system brought accumulating snow, ice and freezing rain to portions of Ontario and Quebec, causing widespread damage. Total economic losses were estimated to approach CAD130 million (USD100 million), while insurers anticipated losses well into the tens of millions (USD). In total for the first-quarter of 2016, Impact Forecasting estimates that insurance or reinsurance losses in the U.S. from severe and winter weather now total $4.48 billion. Globally the figure is $5.82 billion, again demonstrating the importance of the U.S. property catastrophe insurance and reinsurance market. 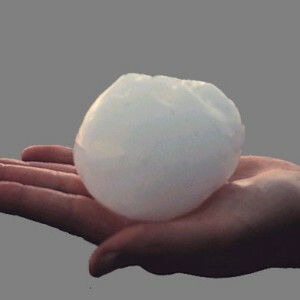 – Texas hail insured losses reach $1.1 billion from recent events. – U.S. catastrophe & weather economic losses pass $1bn in February: Aon.